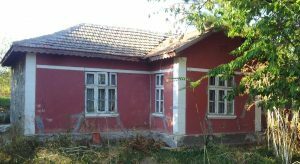 The house was built in 1932. in a typical Dobrudzha style, with thick stone walls. Recently renovated, it consists of two rooms, each with a bedroom, two beds and satellite TV. There is a living room and a bathroom with toilet. The guests have a fully equipped kitchen and an outside bathroom with toilet. The canopy of the kitchen allows for outdoor dining. Guest House “TOTI” is open from June 1st to September 30th and is suitable for holidays both for large companies and for families with children.